We are delighted to be one of Gary’s sponsors for the 2013 World Championship at the Lakeside. The tournament coverage starts live on the BBC Saturday 2:30pm. Ian takes on Phil Taylor ! As proud sponsors, we would like to wish Ian ‘Diamond’ White the best of luck for his match against Phil ‘The Power’ Taylor. Ian takes on the games greatest ever player in Round 2 of the World Match Play at the Winter Gardens in Blackpool. Its live on Sky Sports 1 HD from 9:30 pm tonight. Ian ‘Diamond’ White wins his debut! Congratulations to Ian for winning his debut match! 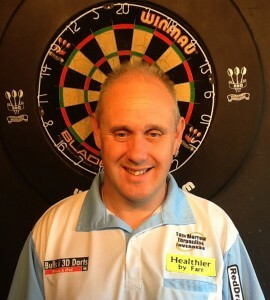 As one of his sponsors we are delighted to announce he beat Vincent Van der Voort 10-5. 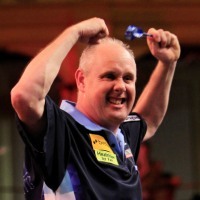 He takes on Phil Taylor in the next round on Thursday. 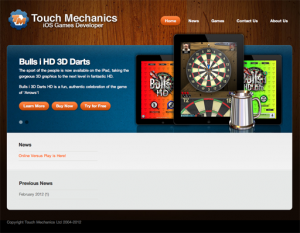 We are delighted to be one of Ian’s sponsors for the 2012 World MatchPlay in Blackpool. Ian takes on Vincent van der Voort live on Sky Sports 1 Hd tonight at 8pm.